Bright colors, whimsical artwork, and fun phrases catch kids’ attention and motivate them to reach goals. Arm Charms are ideal for celebrating a special occasion, rewarding individual or class achievements, encouraging good behavior, or simply brightening up the day! 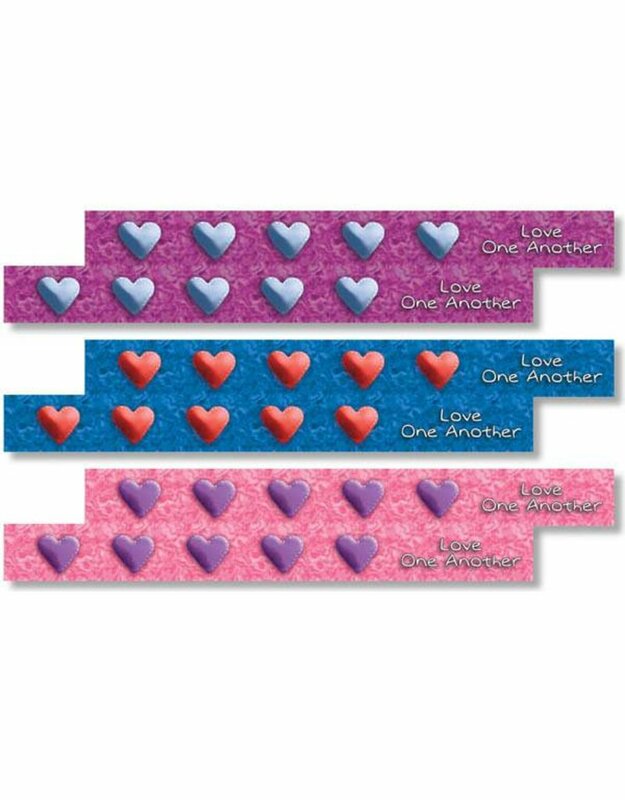 Each package contains 72 paper bracelets measuring 8 1/2'' x 7/8'' (21.6 x 2.2 cm), plus 72 clear adhesive seals to secure the bands around the wrist.